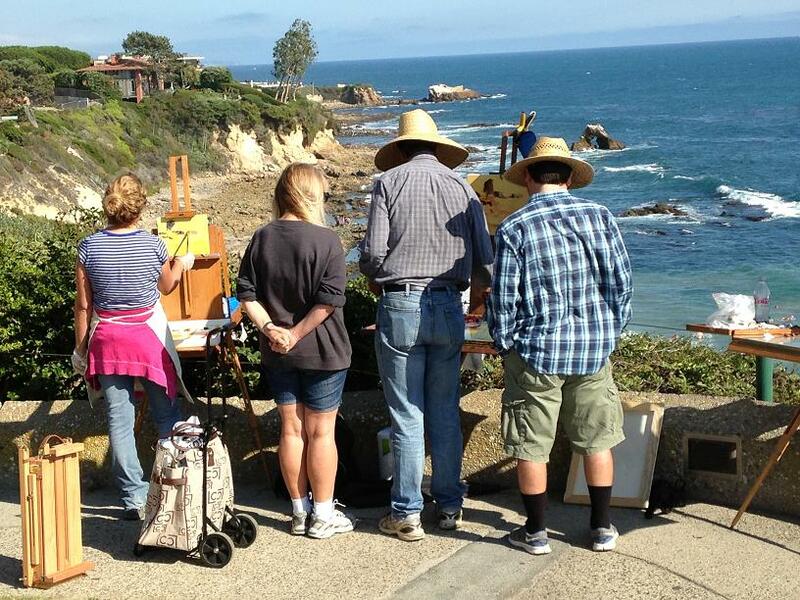 As I wandered along the clifftop pathway, above one of my favorite Pacific Ocean hideaways, I grew fascinated, watching these art students gathered around their teacher. I’d personally taken up the brush just over a year ago, having my first go at painting, using acrylics and an inexpensive, small canvas I’d bought at a local craft store, painting what popped into my head. It was relaxing, enjoyable, creative… and I’ve since painted many more. I’m told they’re not half bad! These students had all the props, and a teacher, but will they exhibit their hearts? I hope once their techniques are trained out, they’ll move on. Maybe it’s wrong, but I don’t want the teaching. I want to figure it out for myself for fear of being boxed in by rules, or the “correct” way of doing things. ← Honey, We Shrunk The Grove!